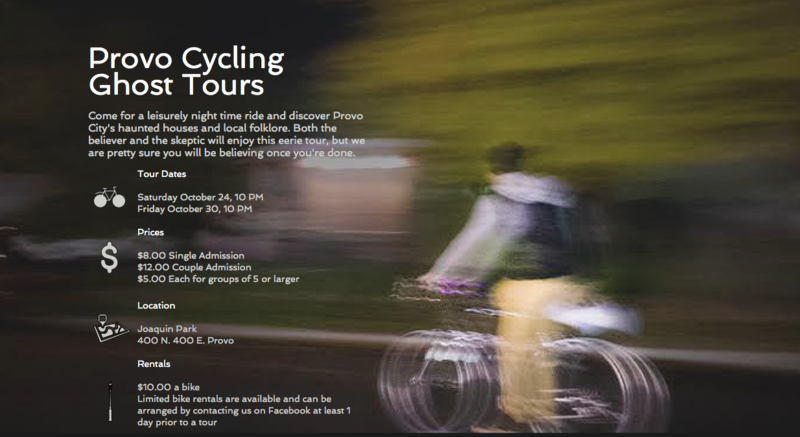 Come for a leisurely night time ride and discover all of Provo City’s ghost stories, haunted houses and local folklore.Both the believer and the skeptic will enjoy this eerie tour, but we are pretty sure you will be believing once you’re done. Find out more on their website. 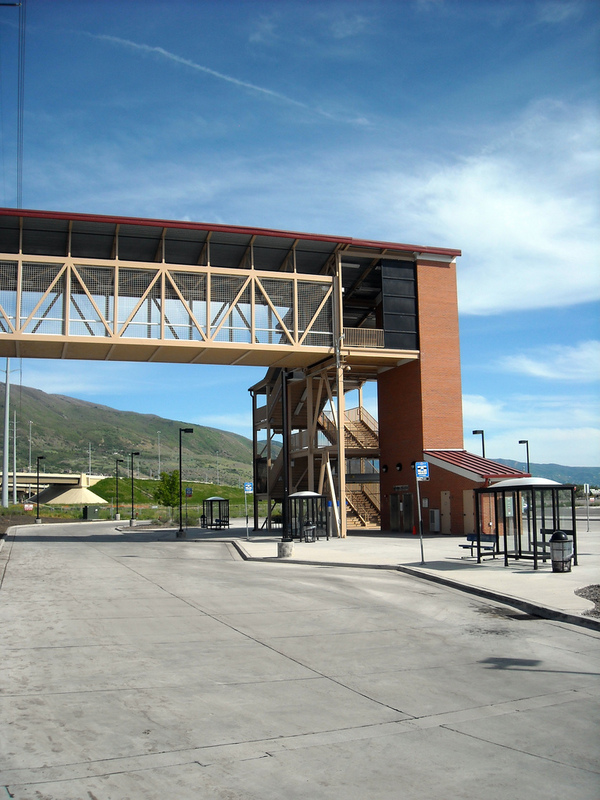 Head on over to the Transportation and Community Open House on October 29th to learn about what county and state agencies are planning for Utah County – and share your own ideas. Can’t make the meeting? 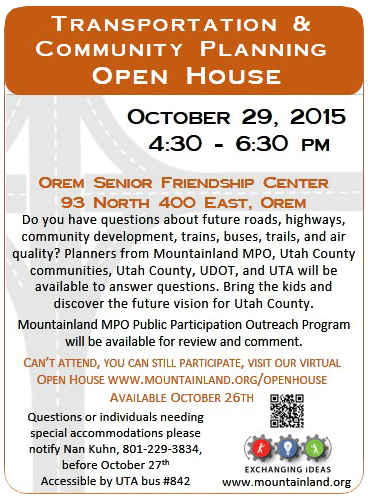 Check out their Virtual Open House online right now at Mountainland.org/openhouse and be sure to check out their planned Bike / Ped projects. 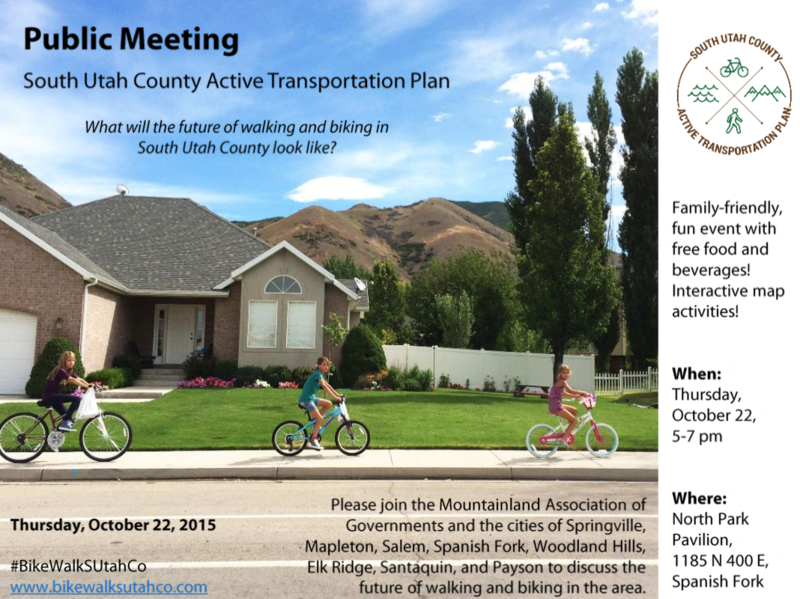 Find Out What Provo City Council Candidates Think About Bicycles: Who Will You Vote for Nov. 3rd? 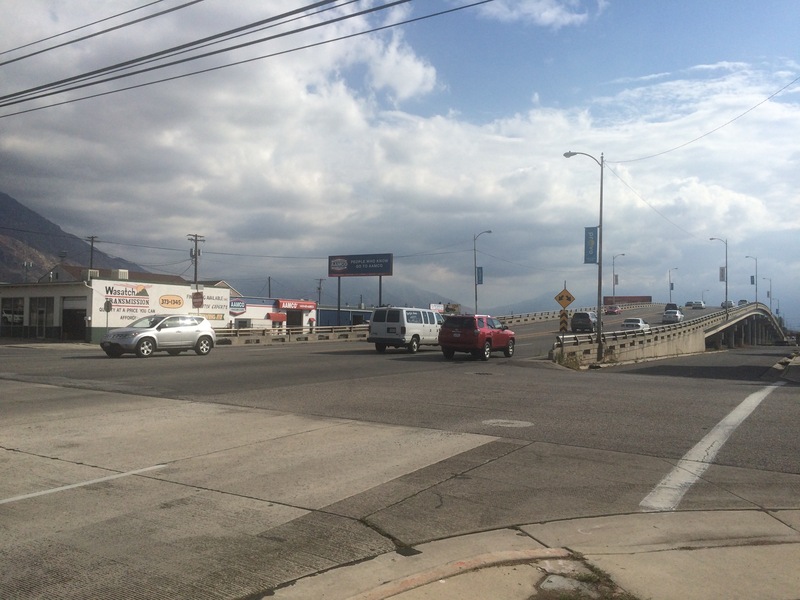 One of the best ways to make a difference for safe streets in Provo is to vote for city council candidates who are dedicated to neighborhoods that work for pedestrians and bicyclists. All registered voters in Provo will have a chance to vote for city council candidates on November 3rd, 2015. Not sure about voting? You can find out how to register here. Find your polling place here. And, watch more in-depth candidate videos here. Huge kuddos to the candidates who responded to our four bicycle survey questions (posted here with a bit more context). 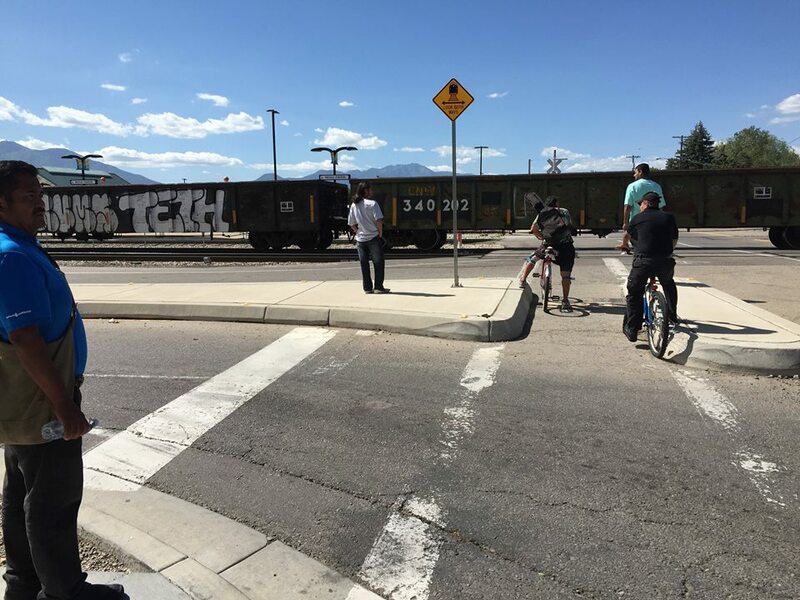 Many of the candidates were also able to make it out to October’s Provo Bicycle Committee meeting, where they introduced themselves and saw a bit of what is happening with bikes in Provo. Please check out the survey questions below and share them with your Provo neighbors and friends interested in safer streets. Everyone that votes in Provo can vote for one of these candidates, no matter where you live. 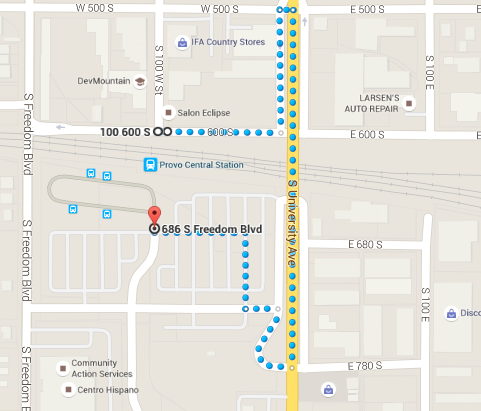 Would you be willing to sponsor or support a “Complete Streets” bill for Provo? 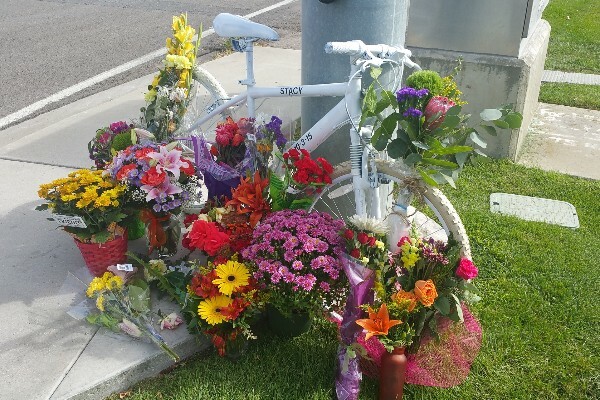 I am completely in favor of making Provo and its streets more bicycle friendly but I cannot commit to sponsor or support a bill I have not seen or reviewed. I would be willing to support the concepts you described that would be part of a *Complete Streets” policy. I would. My understanding is that the city is already doing this even without the legislation that requires it. 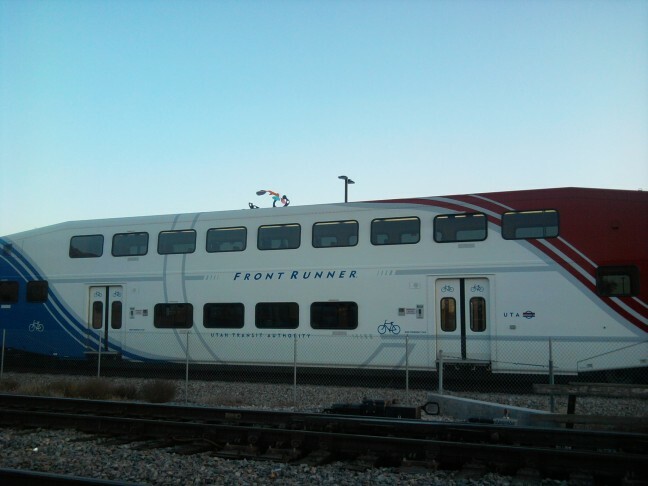 I believe that it makes sense to consider the needs of all types of transportation as we design our infrastructure. That being said, I will always be reasonable about supporting changes. They need to make sense but I believe that more often than not, complete streets are wise investments. Would you be in favor of including active transportation (infrastructure for biking / walking) as a line item in the city budget? 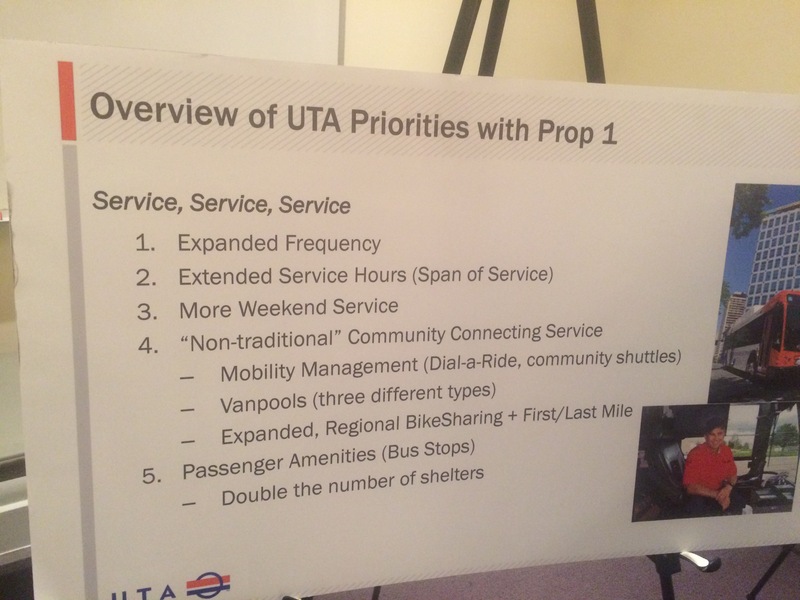 I would be in favor of funding Items that would promote a more bicycle friendly Provo but not knowing what would be in an “Active Transportation” line item I cannot comment on that issue. I am in favor of including active transportation as a line item in the city budget. 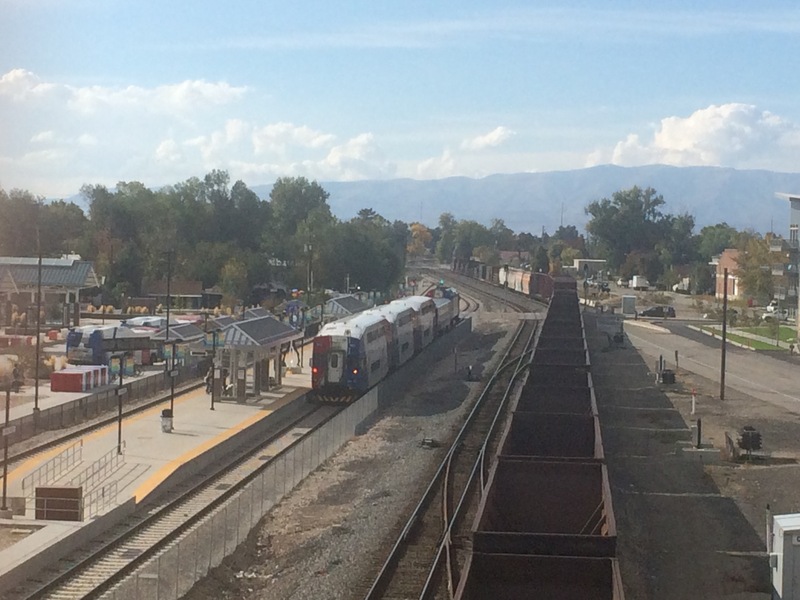 That does not mean that I am in favor of increasing the budget, but I would support moving funds from other transportation line items to a line item that supports active transportation. 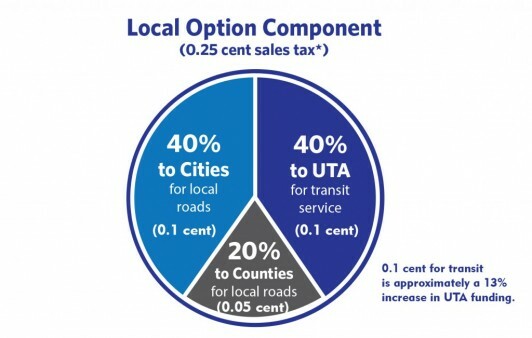 For example, I would take a hard look at the Utility Transportation Fund to see if it makes sense to reprogram some of those dollars to a line item for active transportation. If you are elected, what can Provo bicycle advocates (including the Provo Bicycle Committee, the Provo Bicycle Collective, and bicyclists across the city) do to best help you jump in and feel confident in joining the ongoing discussion about making Provo more bicycle-friendly? As stated above I am in favor of making Provo more bicycle friendly and would be willing to join any discussion or help any group that would help achieve that goal. I love everything that is happening in Provo. I am running to keep the momentum that we have going. I love that we have a group of people in Provo who care so passionately about making it better and I consider myself one of those people. I can’t know everything, so I depend on citizens telling me what they find important. As a city-wide candidate, my job is to represent all the people of Provo so I am committed to listening with an open mind. What will be most helpful to me is if you and the other members of the community take me up on that. Tell me what you want to see in Provo. 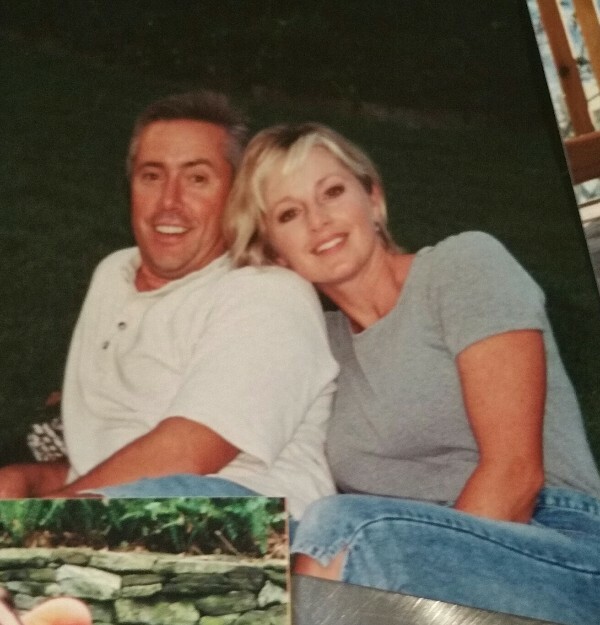 Share your great ideas with me. Let’s work together to keep things moving in the right direction. 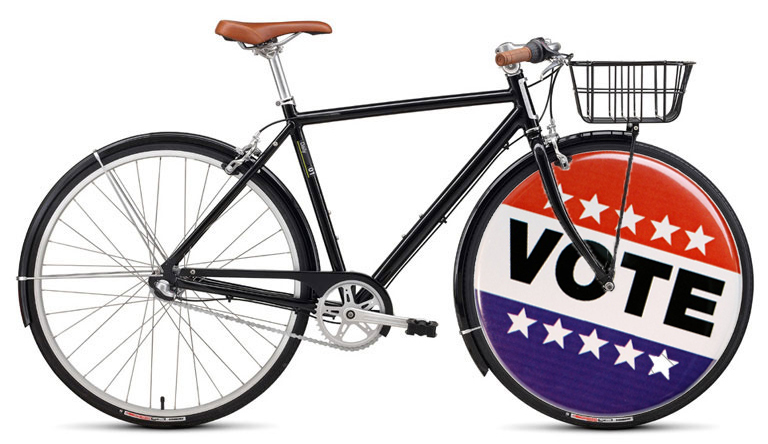 Is there anything else you’d like voters to know about you and your experiences or positions related to bicycling? As I told you while attending your meeting, my complete mobility as a youth and young teenager depended on my bicycle as my Mother did not drive and my Father traveled in his work as an attorney for the Veterans Adm. I also was a bicycle newspaper carrier. 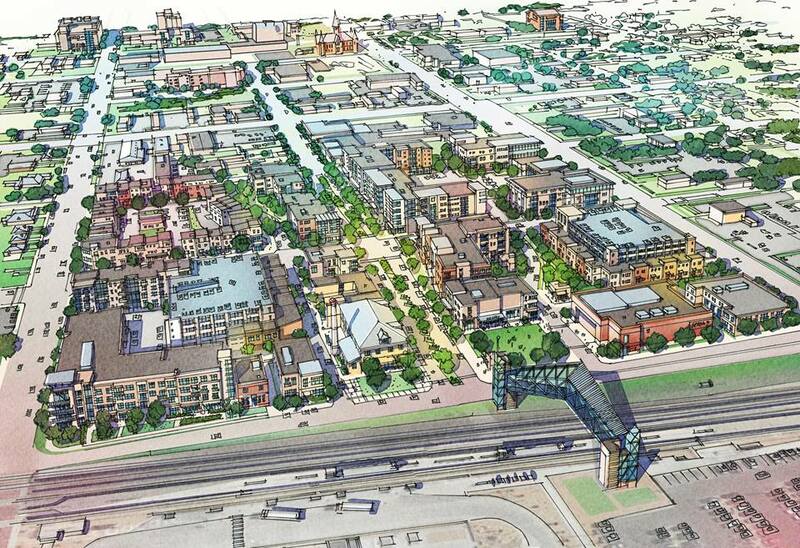 I’m committed to foresight in transportation, and that includes planning for a city that is friendly to more transportation alternatives, like bicycles. I’ve lived in different areas of the world, including in several European countries, where bicycles are more commonly used for every day errands. If we can plan now for a city that embraces bicycling through planning and commitment, it will mean better air, healthier transport, and options as we significantly grow our population.